The second edition of Concerning War, A Critical Reader in Contemporary Art includes a new preface and an extensive index. 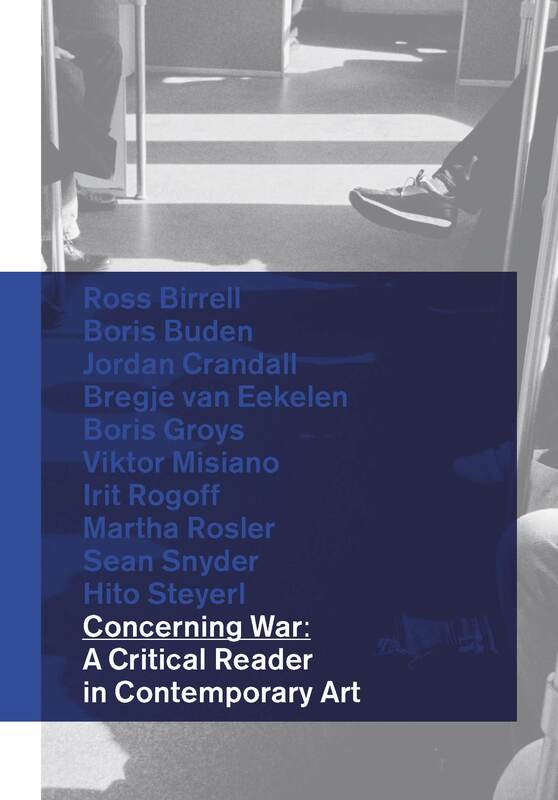 Concerning War presents new and anthologized texts by artists and writers who analyze the possibilities for critical artistic responses to the contemporary world as a site of global war. In a variety of distinct ways and from different positions, contributing authors reflect on the nature and numerous aspects of our contemporary condition marked by ongoing violence and conflicts across the globe, and provide insights into how the world in this state of war, though predominantly addressed from our Western perspective, could be re-imagined differently through contemporary artistic and intellectual practices. With contributions by: Ross Birrell (artist and writer, Glasgow), Boris Buden (writer and cultural critic, Berlin), Jordan Crandall (media artist and theorist, San Diego and Los Angeles), Bregje van Eekelen (cultural theorist, Rotterdam), Boris Groys (art historian and philosopher, New York), Viktor Misiano (art critic and curator, Moscow and Ceglie Messapica), Irit Rogoff (theorist and curator, London), Martha Rosler (artist and writer, New York), Sean Snyder (artist, Kiev and Tokyo), and Hito Steyerl (artist and writer, Berlin). Design: Kummer & Herrman, Utrecht. Unfortunately, this title is out of print and no longer available.